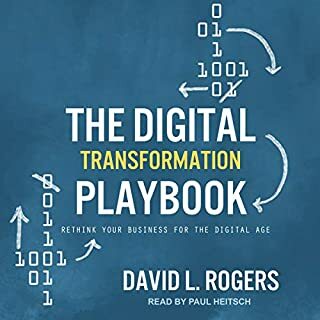 Globally recognized digital expert David L. Rogers argues that digital transformation is not about updating your technology but about upgrading your strategic thinking. 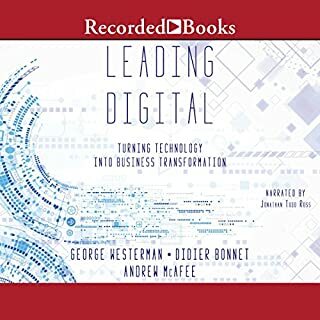 Based on Rogers' decade of research and teaching at Columbia Business School and his consulting for businesses around the world, The Digital Transformation Playbook shows how pre-digital-era companies can reinvigorate their game plans and capture the new opportunities of the digital world. As with any large infrastructure project, the costs and risks involved in a major innovation programme are significant, and how it is led and managed will directly determine its long-term success and sustainability. 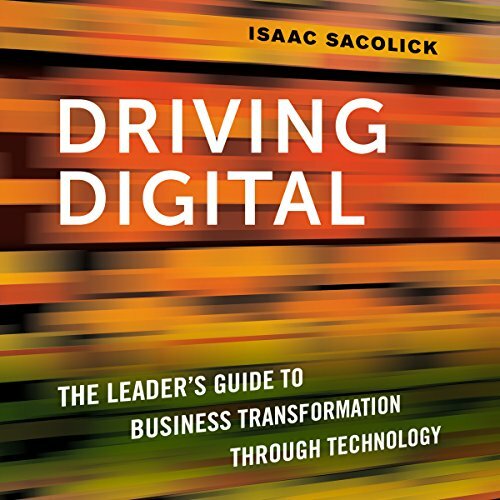 The secrets of successful digital transformation are usually tightly held by the organisations that achieved them; this new title unlocks the 'how' of transformation through digital innovation. There is no simple strategic method for dealing with the multidimensional nature of digital change. Even the sharpest leaders can become disoriented as change builds on change, leaving almost nothing certain. Yet to stand still is to fail. Enterprises and leaders must remaster themselves to succeed. Leaders must identify the key macro forces then lead their organizations at three distinct levels: industry, enterprise, and self. By doing this they can not only survive but clean up. What's Your Digital Business Model? What is your digital business model? While many leaders of companies recognize the threat from digital - and the potential opportunity - they lack a common language or a compelling framework to help them assess it and, more importantly, to direct them. They don't know how to think about their digital business model. In this probing and practical book, Peter Weill and Stephanie Woerner provide much-needed tools, self-assessments, motivating examples, and key financial analyses of where the profits will likely be made. Value in the next phase of the digital era will go to those companies that don't just try digital but also scale it. 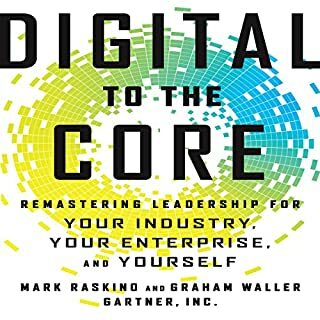 Digital@Scale examines what it takes for companies to break through the gravitational pull of their legacy organizations and capture the full value of digital. 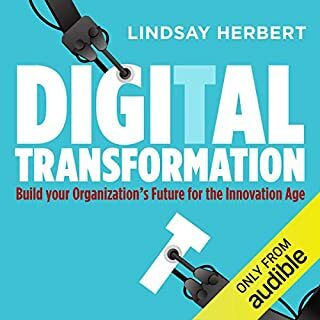 Digging into more than 50 detailed case studies and years of McKinsey experience and data, the authors, along with a group of expert contributors, tell how companies can move beyond incremental change to transform the business where the greatest value is generated - at its core. Company leaders feel the urgency to transform their organizations in the face of digital disruption. New rivals are digitizing whatever can be digitized to attack incumbents' value chains, gaining marketing share, eroding margins, and wreaking havoc to the competitive landscape in virtually every industry. Remember the '70s? Way back then, IT was a mainframe that sat in some room and only a few people had a key. Flash forward a decade, and IT was a limited set of systems irrelevant to the vast majority of employees and customers. But today, all of the sudden, technology belongs to everyone. Because of the suddenness of this revolution in technology adoption, most IT organizations have not had enough time to evolve into a "comfortable integration" with the rest of the company. Map the innovation space - and blaze a path to profits and growth. Countless books, articles, and other advice promise leaders solutions to the complex challenges they face. Some offer quick, silver-bullet remedies - a straight line to success! - and some are so technical that audiences get lost before they begin. Now, there's Mapping Innovation, a refreshing alternative in the crowded business innovation space. The race is on to become a digital enterprise. Every organization has a plan for updating products, technologies, and business processes. But that's not enough anymore. With disruptive startups outperforming industry stalwarts, executives everywhere are pushing greater growth and innovation. Staying competitive demands a complete digital transformation. Every company is on the cusp of digital disruption. But with so many pieces to the puzzle, efforts often get derailed. Driving Digital is the action plan you need to take your company and career into the future. ©2017 Isaac Sacolick (P)2017 Brilliance Publishing, Inc., all rights reserved. Published by arrangement with AMACOM, a division of American Management Association International, New York. Several points set this book apart from some others that I have read. First, the author is technical, and has actually been hands-on for at least three transformations. 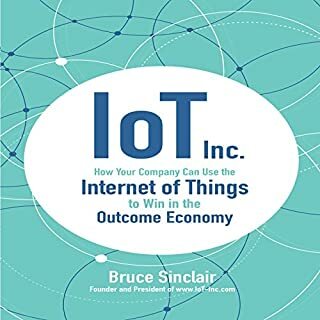 Some CIOs are not technical, but this author can speak with authority because he has been deep enough in the weeds for the reader to trust his analysis and recommendations. Second, I agree completely with the authors statements on Agile, Quality Assurance Teams, and DevOps as a whole. I have experience in a few of the areas, and he is spot on with his analysis. One cannot run a digital transformation without embracing Agile, QA, and DevOps. This book reinforces why. 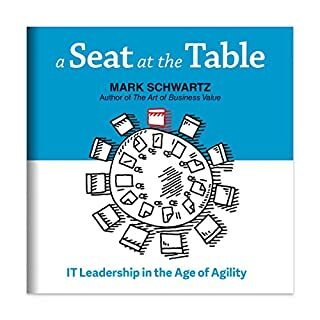 I learned a lot from this book regarding Agile Portfolio Management and transformation into a data-driven organization. After reading the book, I learned why some regular practices will cause long-term problems. I also really like how author speaks with candor, especially in both the introduction and the closing. I appreciate that he is a straight-shooter and tells it like it is. There needs to be more candor like this in many organizations. Turns out to be a long-winded lecture on agile. I did not find it insightful or thought provoking. good in the beginning & end, boring in the middle. I really like the first few sections of this book, that got lost in the middle when he started talking about technical program development stuff. The ending was pretty good. The book was written based on author’s experiences, therefore is full of judgements and without any case-based arguments.